WHY WE LOVE IT: We know we shouldn’t judge a book by its cover but this one does look pretty good! Any book that helps us to better engage our children with the ever changing technology around us is a winner in our eyes. DESCRIPTION FROM THE PUBLISHER: Through curiosity, children carve out concepts from the environment that they assemble into models to describe the world. Children then test those models to see how well they predict what they observe, and they use the results from those experiments to form new concepts and models—leading to the next round of the curiosity cycle. However, our children are more than passive observers. They are an embodied part of the world and have brains that are predisposed to see the environment in particular ways. To get the most from their curiosity, children must build models about the intentions of those around them and the tendencies within themselves. These curious minds will be entering a world that is increasingly dominated by computation. Computers are becoming better at understanding the physical environment, and this will transform the workplace and alter how we spend our free time. 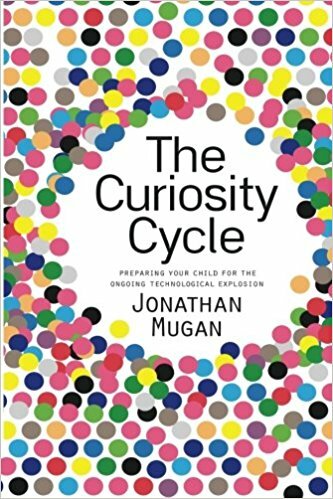 This book explains how your child can understand how a computer thinks and how your child can leverage his or her curiosity to thrive in a world with intelligent computers where human creativity is valued above all else.